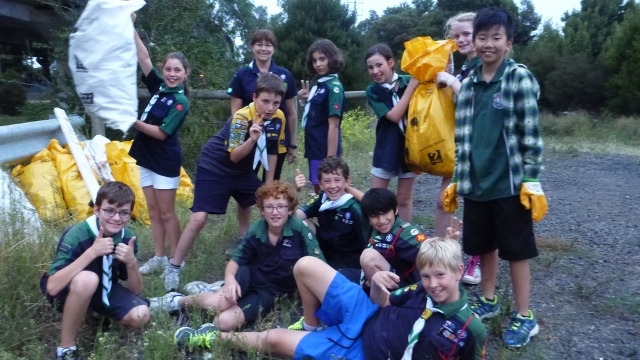 Monday 2nd March: Monday night’s Scout Meeting was a good opportunity for 6th Melbourne Scouts to fulfil our commitment to Clean Up Australia Day 2015. 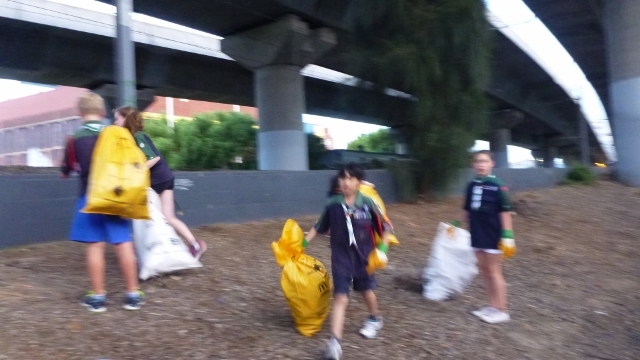 Eleven Scouts walked down to the Moonee Ponds Creek and collected about 12 bags of rubbish, separating them into recyclables and general rubbish. 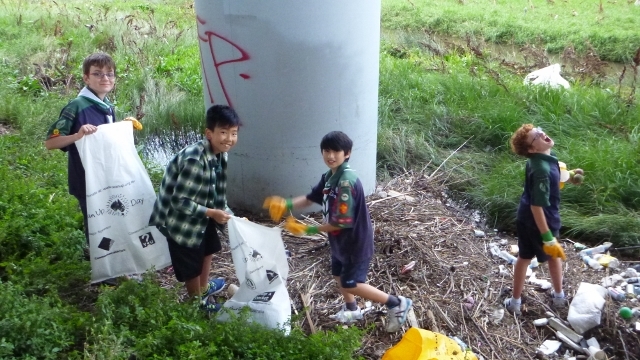 Prizes were awarded to Ethan and Sophia L. for their energetic collection of the most garbage! 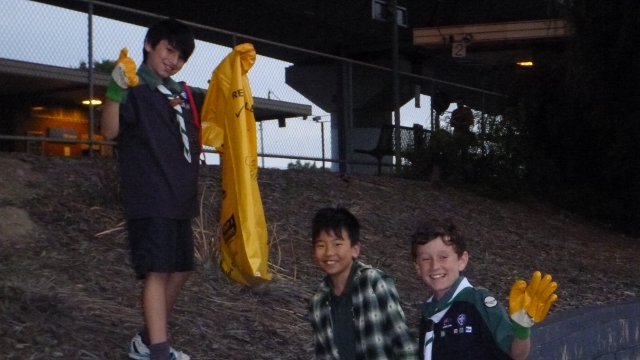 The activity included bird-watching. We spotted two large water birds – a White-faced Heron and a Nankeen (Rufous) Night Heron. 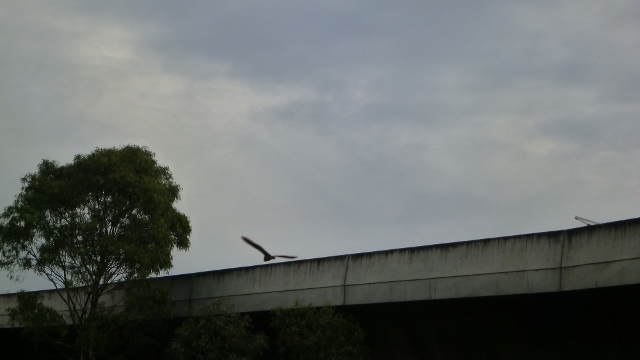 It is encouraging to see these magnificent birds in the Moonee Ponds Creek corridor. 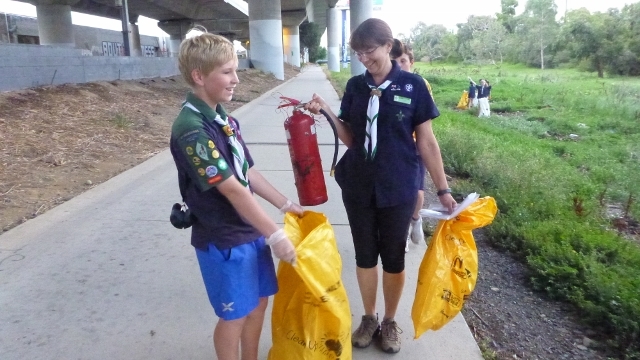 A most unusual find – red fire extinguisher. 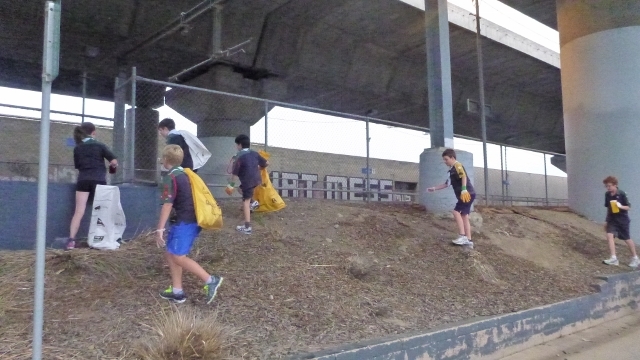 Job well done – 12 bags full!